Awesome. I adore this guy. He’s the best– both in animation and girl power. I know he’s a guy, so that’s the only drawback I guess, but that can be a plus too, that he has that kind of insight. 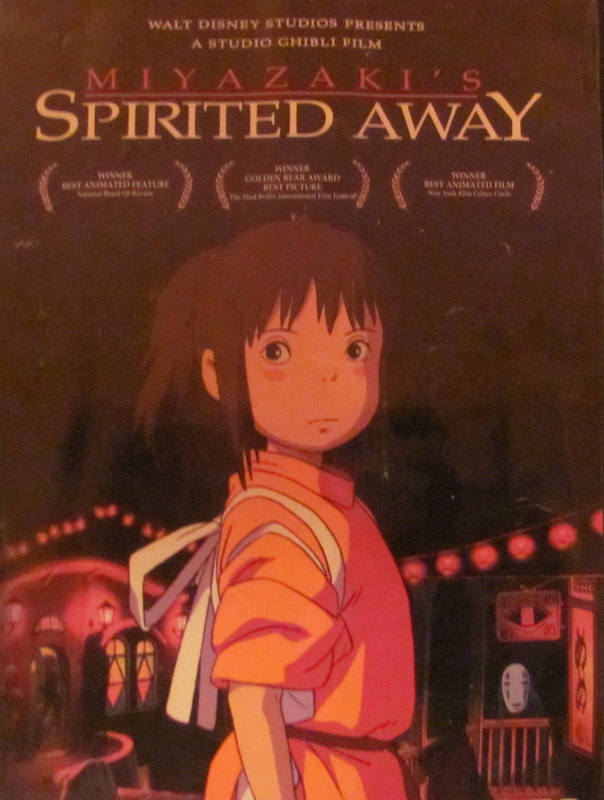 Spirited Away, his classic, is my favorite. It’s just beautiful to watch. And Sen, the main character, is brave and cool and also emotional and real. Her parents turning into pigs did freak my kids out, it freaked me out; that scene is intense. I also love Kiki’s Delivery Service. recently, I saw Ponyo in the movie theatre whichw as such a great, powerful take on the lamest of movies– The Little Mermaid. My only issue with MIyazaki is you have to be in the mood, it s a commitment to watch one of these epic films and sometimes my mind drifts. And I suppose, with Ponyo, it really was much more about the animation that the story, there wasn’t much tension or conflict. The boy– I forget his name right now– is in love with Ponyo the fish, and his love is tested but you never doubt that this earnest, sweet boy’s love is true. Miyazaki gets my highest rating GGG. This entry was posted in Cool and radical girls, Most girlpower *GGG*, Movies, ReelGirl recommends by margotmagowan. Bookmark the permalink. Love him too. Such a great alternative to the Disney princess machine– as are the Scholastic DVDs. You should review a couple of those– there are some great girl centered ones (“Chrysanthemum,” narrated by none other than Meryl Streep).